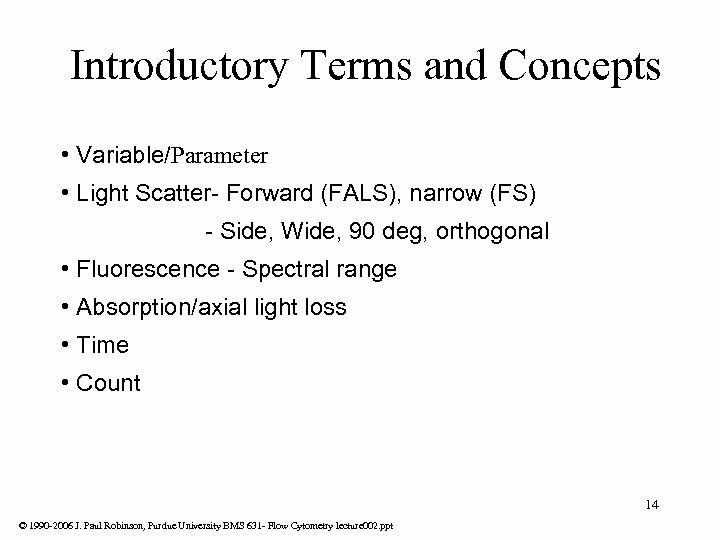 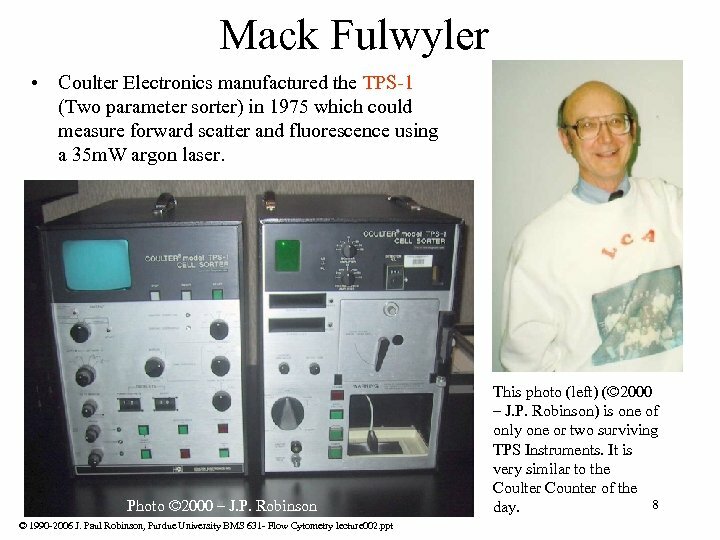 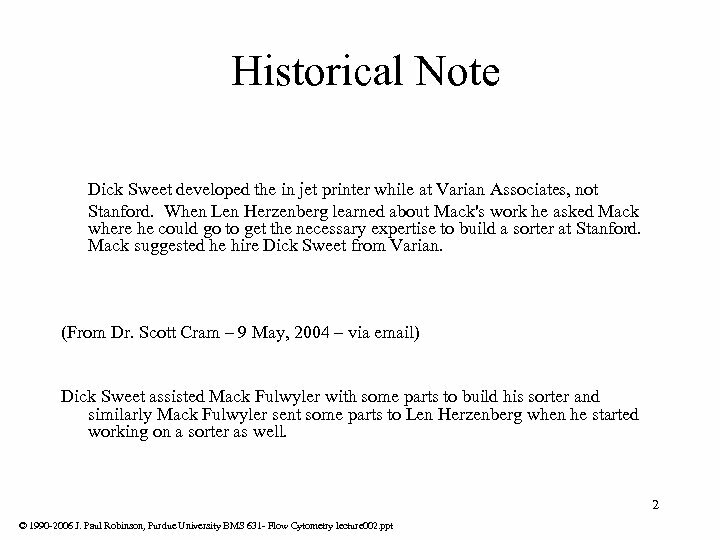 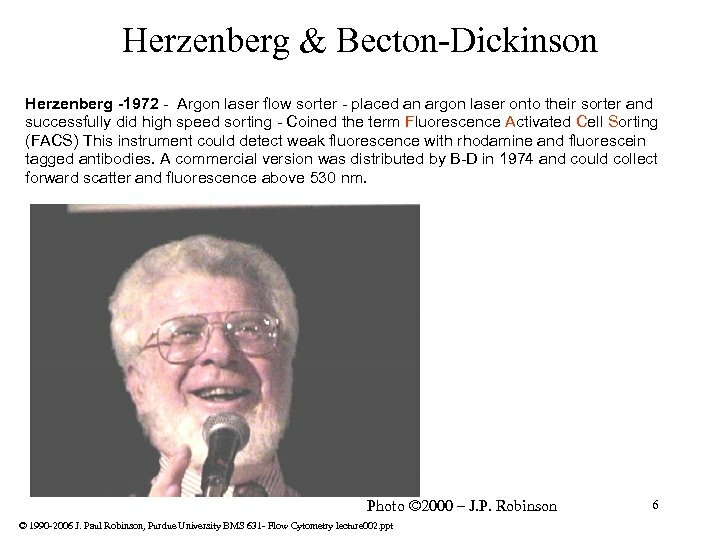 Mack Fulwyler • Coulter Electronics manufactured the TPS-1 (Two parameter sorter) in 1975 which could measure forward scatter and fluorescence using a 35 m. W argon laser. 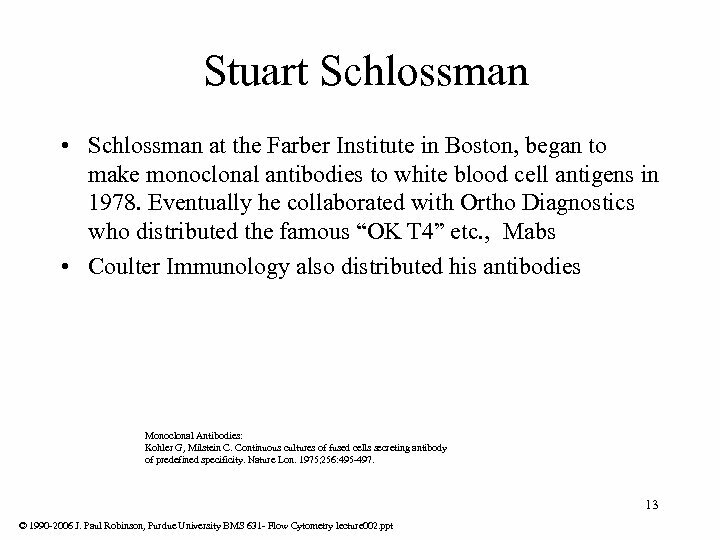 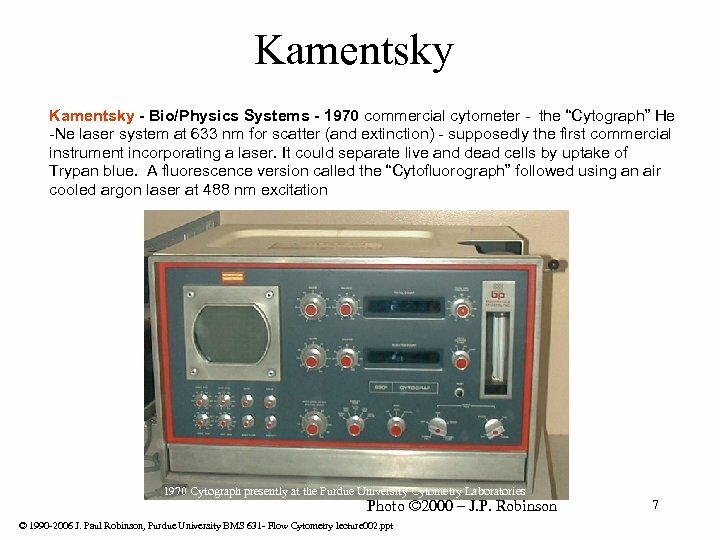 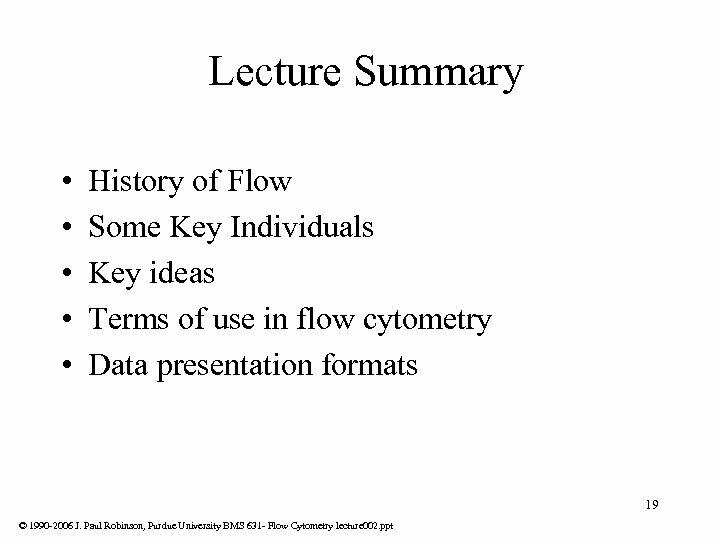 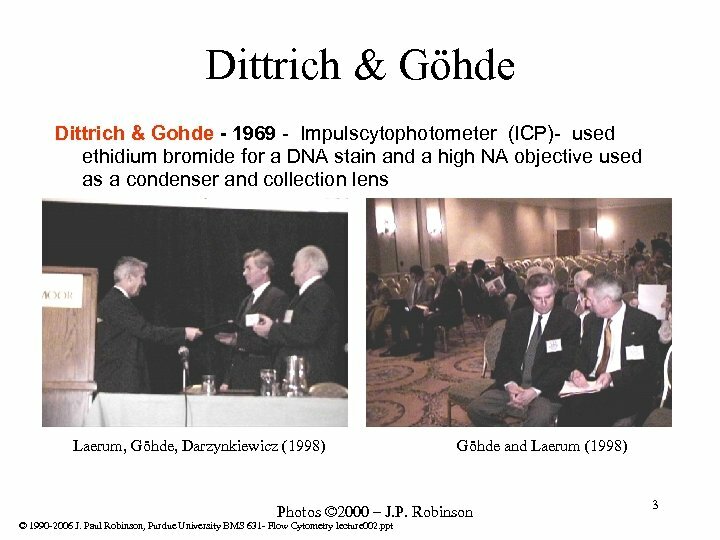 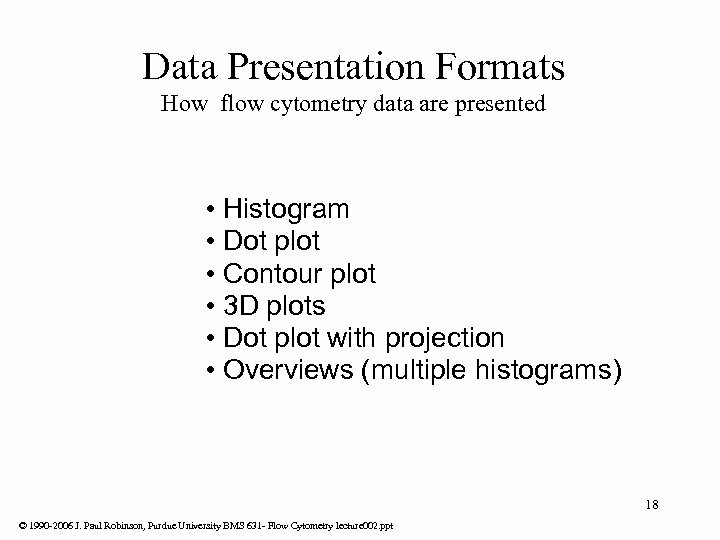 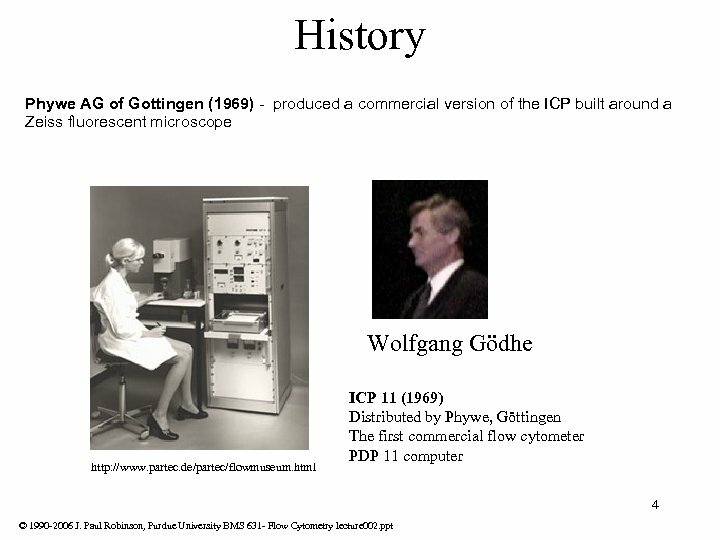 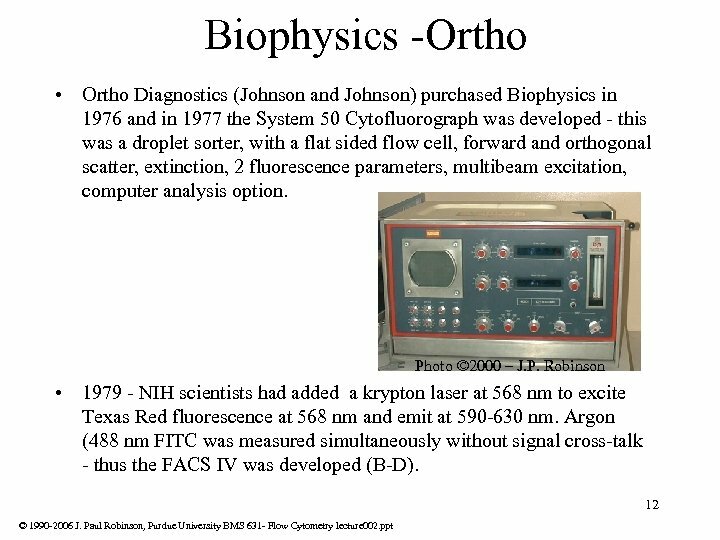 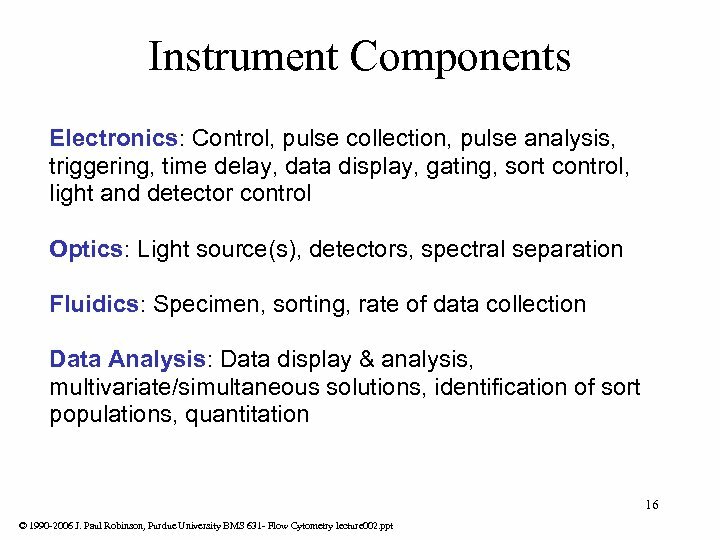 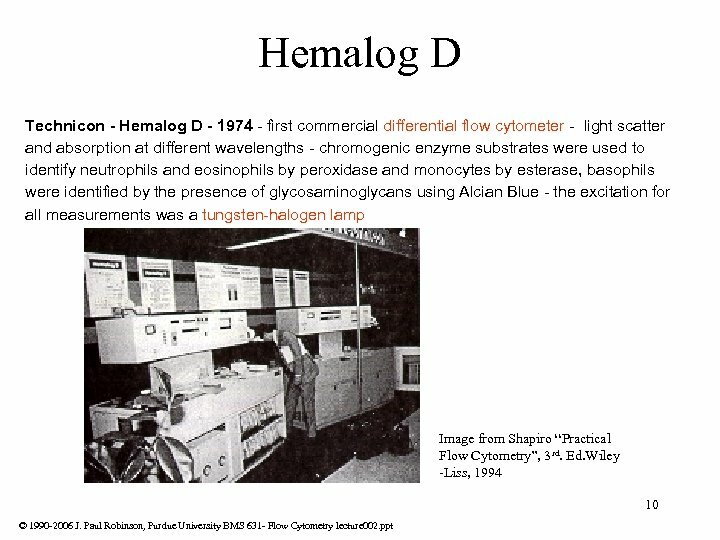 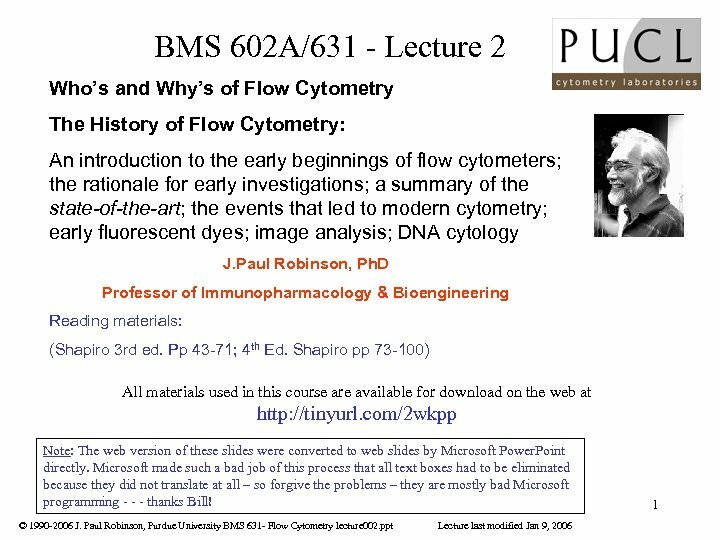 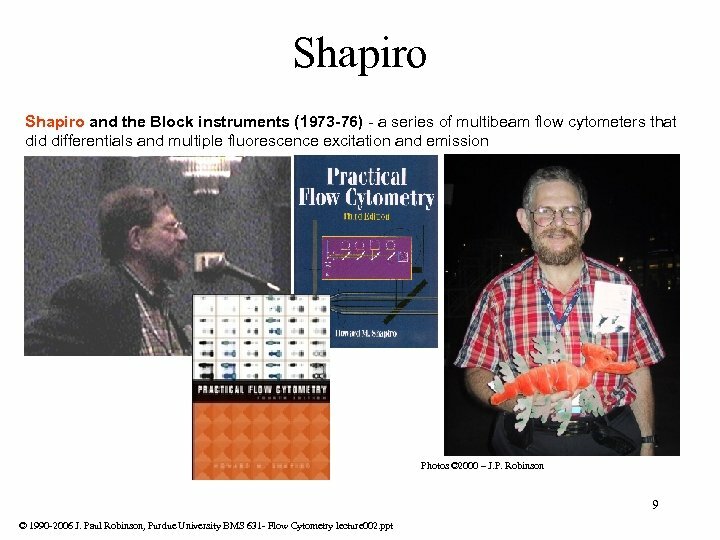 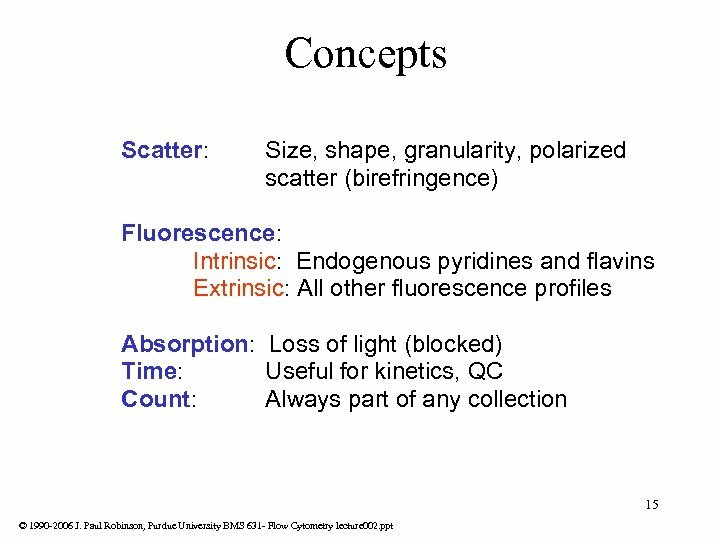 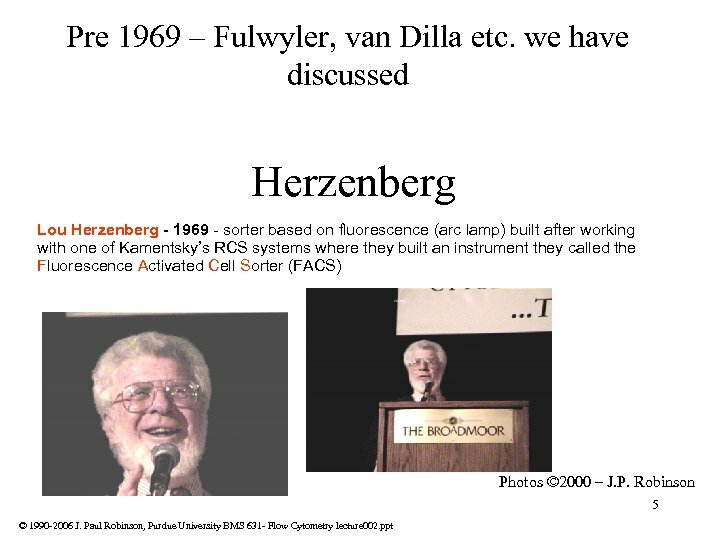 Photo © 2000 – J. P. Robinson © 1990 -2006 J. Paul Robinson, Purdue University BMS 631 - Flow Cytometry lecture 002. ppt This photo (left) (© 2000 – J. P. Robinson) is one of only one or two surviving TPS Instruments. 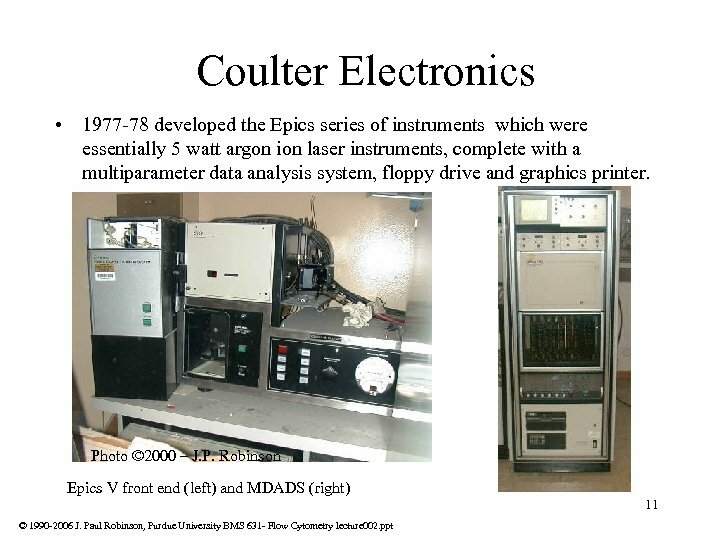 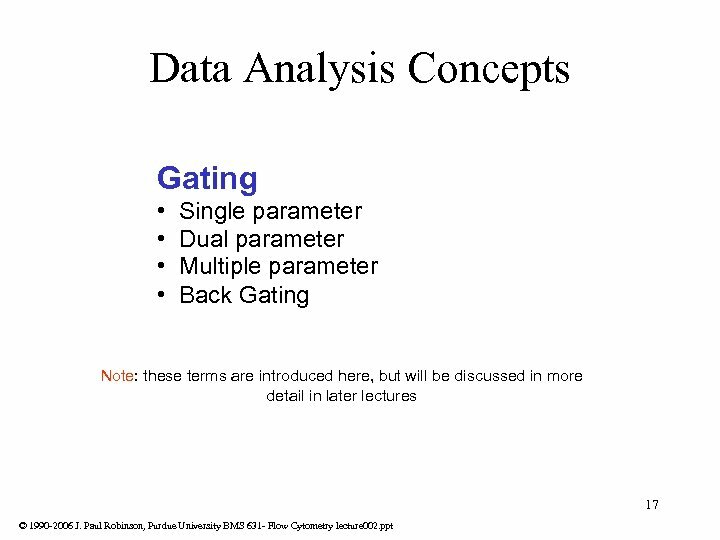 It is very similar to the Coulter Counter of the 8 day.